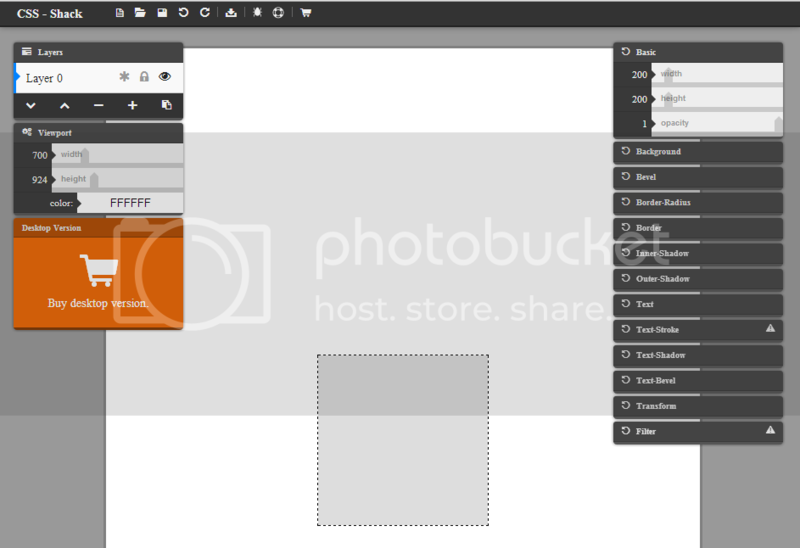 Adds a toolbar button with various web developer tools. 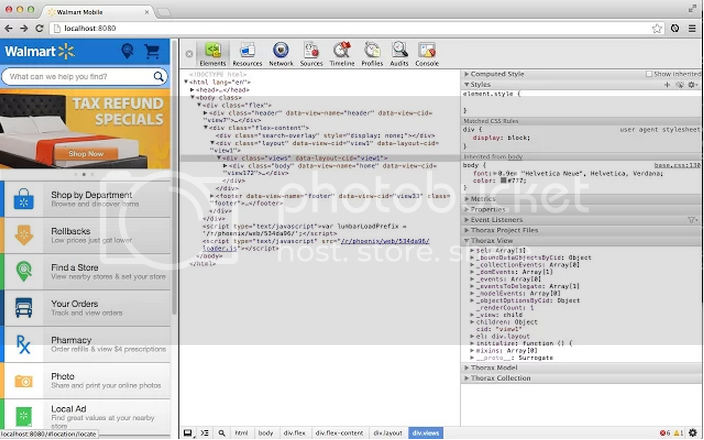 The Web Developer extension adds a toolbar button to the browser with various web developer tools. This is the official port of the Web Developer extension for Firefox. The extension is available for Chrome and Firefox, and will run on any platform that these browsers support including Windows, OS X and Linux. 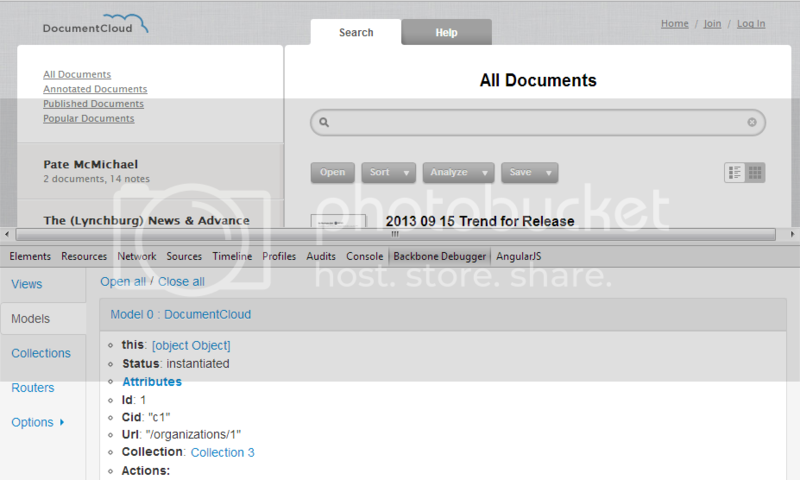 Inspect a DOM element and the closest View will be exposed via $view in the console. Yehuda Katz has been working on Ember Inspector, which improves Ember.js debugging workflow with easy inspection of controllers, views, and objects when running an Ember.js application. This tools provides features to get insights into models and their attributes, layers, bound computed properties and avoid the need to dig deep into the Ember object graph to figure out what is happening behind the scene. Thorax Inspector is an inspector extension for Thorax, a Backbone + Handlebars framework to build large scale web applications. This tool lets you inspect Thorax projects, Views, Models and Collections via the Elements panel. 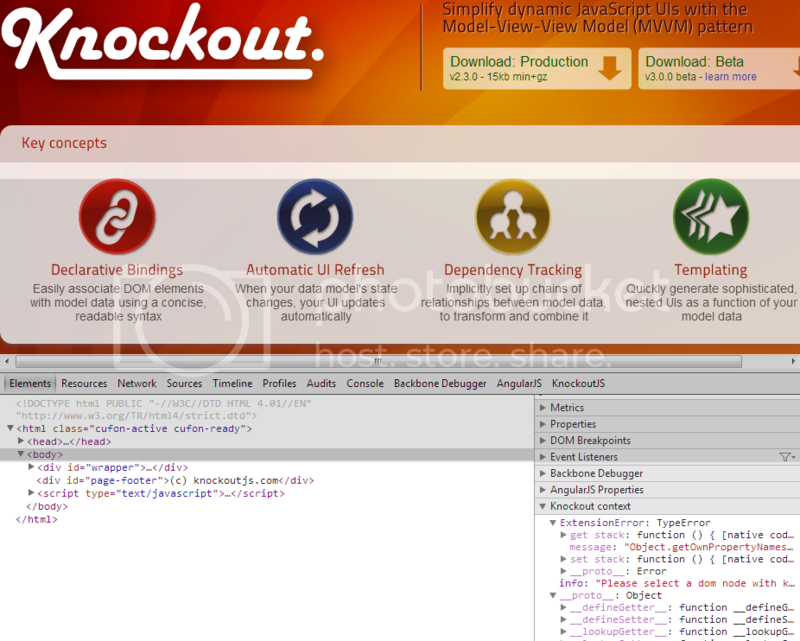 Knockoutjs Context Debugger shows the knockout context & data for the selected DOM node in a sidebar of the elements pane. 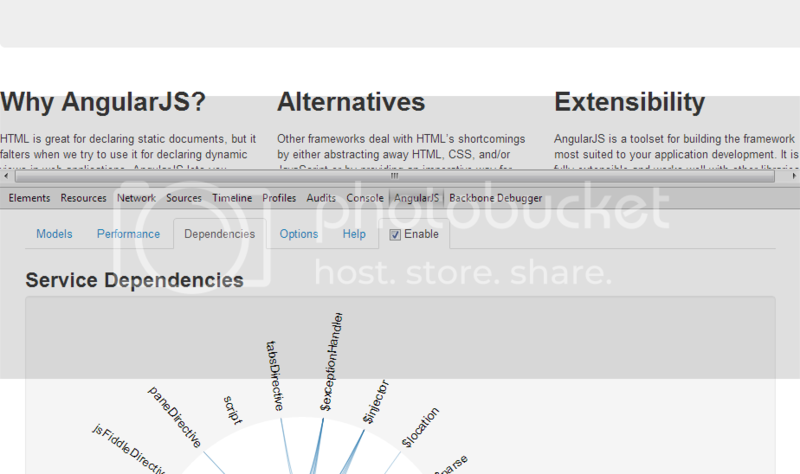 Knockoutjs debugging extension adds a extra sidebar in the elements pane of the chrome dev tools with the relevant knockout context and data for the selected element. Very usefull if you got large/nested viewmodels. Allows to add tracing to every observable/computed.